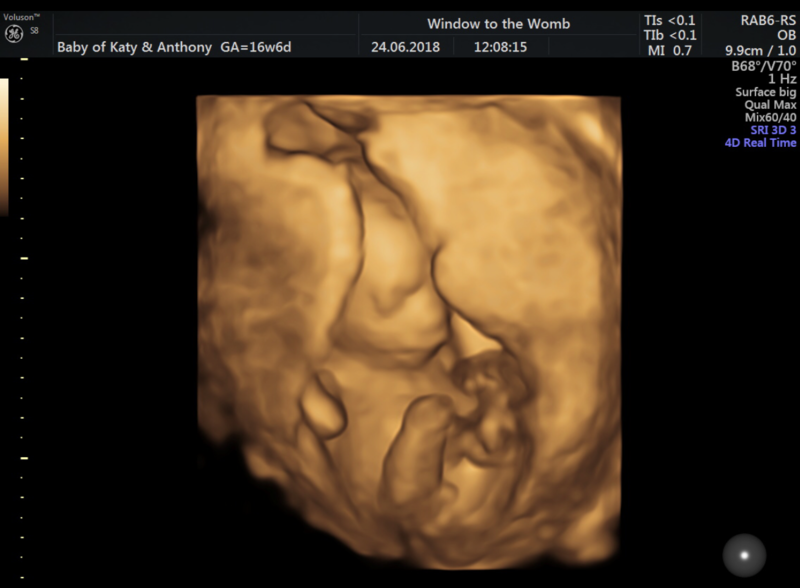 Before arranging additional scans, many families wonder what to expect throughout their private scan experience…so we thought we’d give you an insight into Katy and Anthonys Window to the Womb journey! 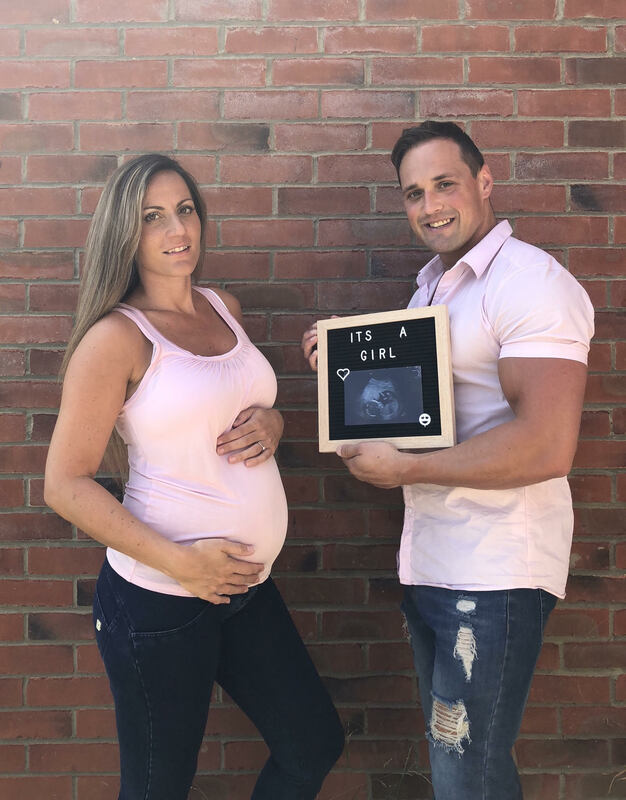 Katy and Anthony begun their private scan experience at Window to the Womb Worthing after a family member booked them a Gender Reveal Scan Package. (This is 99.9% accurate and available from just 16 weeks; a full 4 weeks before your hospital appointment!) Already with three gorgeous boys…they were excited to discover just who the new addition would be! 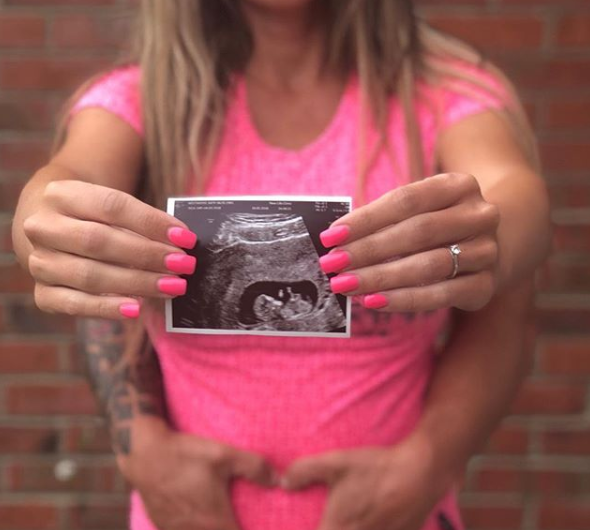 As with all our baby scan packages, the Sonographer began with a well-being check of baby, seeing that baby is growing normally, confirming single/multiple pregnancies, showing the placenta and position of baby and listening for the heartbeat. During your time with us, you’ll have a personal scan assistant at hand to answer all your pregnancy questions! Everything was healthy, so the Sonographer then went to confirm boy or girl. They were then shown a sneak peek of baby in 4D! The team created a gender reveal confetti balloon (you can ask your local clinic about their extras) and Katy and Anthony had the big reveal with family and friends. Watch the video below to find out boy or girl! Along with a well-being report and reveal balloon, they chose 4 x photo prints and took away all their digital images on our free Bumpies app, enabling them to share instantly with family and friends. The staff are always friendly, making the whole experience so much more enjoyable for you, they don't rush you which is nice and the locations are relaxing and welcoming. Everything is explained clearly, getting to keep pictures, videos and even download all images to the 'Bumpies' app is just so easy to do! 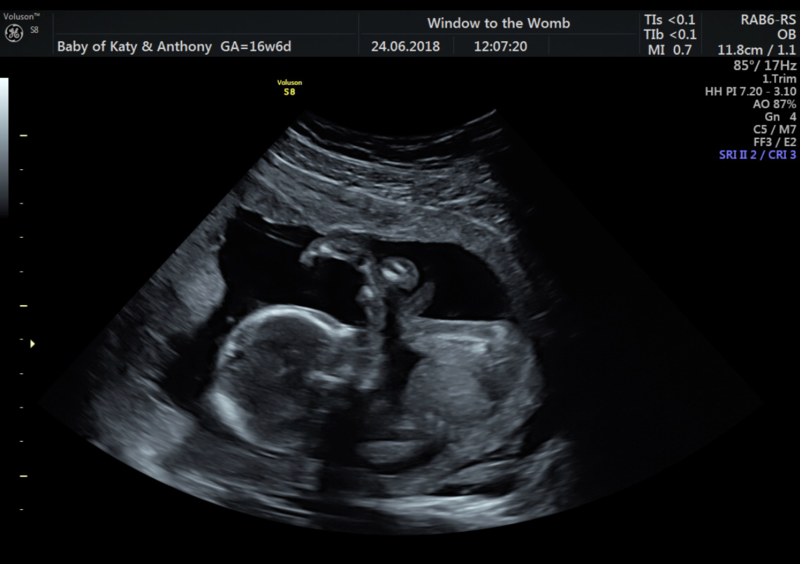 Following their Gender scan, the family decided to join us at Window to the Womb Surrey to meet baby in a 4D scan. Our 4D + Well-being packages are available from 26 weeks, focusing on the well-being of baby and allowing families to meet little one in a unique 4D view. Our clinics welcome family, friends and children of all ages, and we have lots of extras available to enhance your private scan experience. Thanks so much for the great experience. 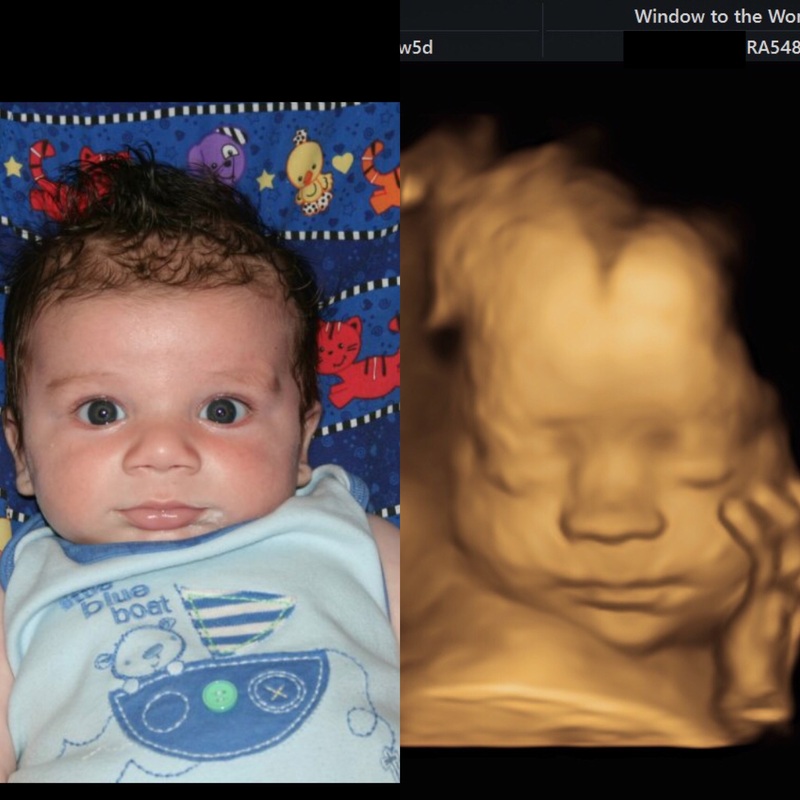 I still can’t get over how clear the 4D scan is after having three boys and not getting the chance with any of them, so was just the most amazing experience ever! I want another one now to see her again! I can’t wait to meet her in 12 weeks time! 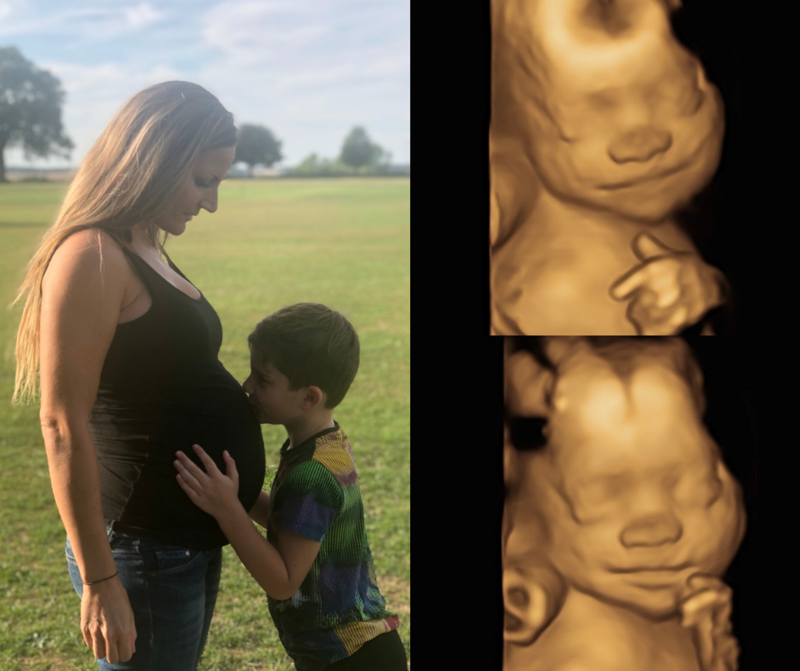 Anthony said he can’t believe there is a baby in my belly, then seeing her on the 4D scan makes it all that more real! Knowing she’s in there happily kicking away waiting patiently until she can come out! I would totally recommend Window to the Womb to all of my pregnant friends. We can see the similarities between Katy’s son and baby girl! 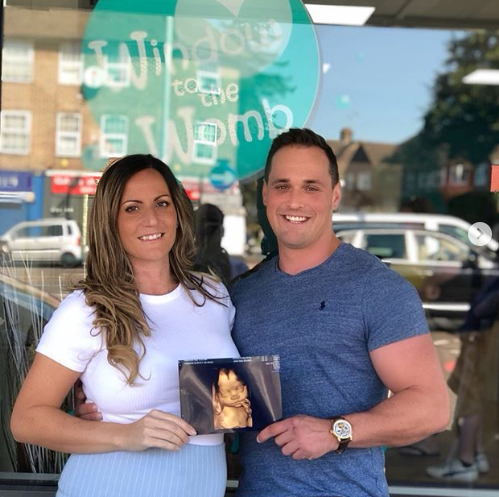 It was such a joy to welcome Katy and Anthony to not one, but two of our clinics and we wish them all the best for the remainder of their pregnancy. Not long to go now! Plus a double congratulations as they’re engaged to be married! We really enjoy seeing your journey and to hear more about your private scan experience! So why not get in touch? If you have any questions about our scan packages, please feel free to ask. We hope to see you soon!